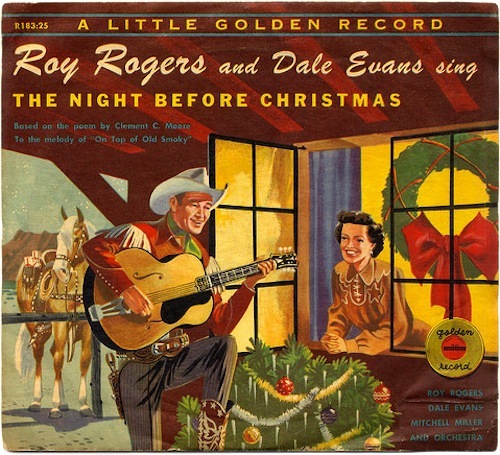 December | 2015 | 50 Westerns From The 50s. Nominate Your Favorite DVD/Blu-ray Releases And Share Your Discoveries For 2015. 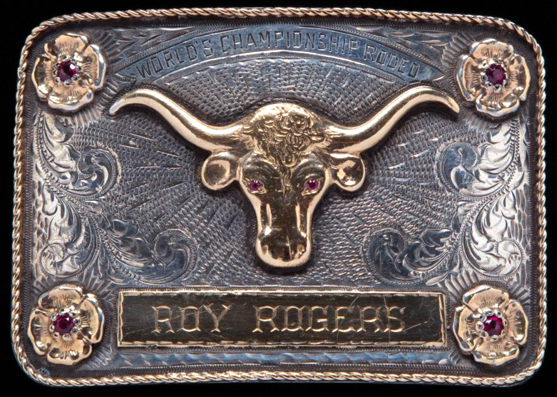 This’ll be the third year we’ve done this, and while it’s a long, long way from being any kind of official competition, I couldn’t resist the chance to share Roy Rogers’ belt buckle — presented to him at the Madison Square Garden World Championship Rodeo in 1944. Between now and New Year’s Eve, send me your favorite DVD and Blu-ray releases for 2015 — I’ll do all the accounting and put together our Best Of 2015 list. 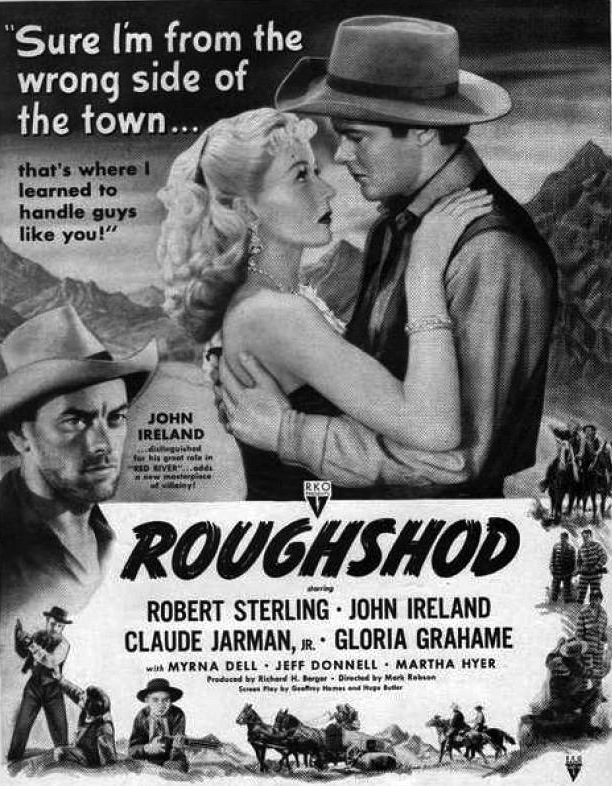 The only requirements: they have to have been released during the calendar year and have some relation to 50s Westerns. Since so many terrific movies have come out overseas this year, we’ll count non-U.S. releases. One of the real joys of this blog, as I see it, is all the sharing and recommending that goes on. So while you’re at it, let me know what your favorite discoveries were for 2015. Doesn’t matter if it’s been on DVD for years, you saw it on GetTV last week or borrowed a bootleg from a friend — what 50s Westerns did you get acquainted with this year? For both lists, drop your picks in the comments to this post or email fiftieswesterns AT gmail DOT com. Coming Soon! The Allied Artists Blogathon. The Allied Artists Blogathon is coming, January 29-31, 2016. Some terrific DVD releases, typically from Warner Archive, have (re-)introduced us to many of the studio’s pictures lately. From Bill Elliott’s last films to some cool crime pictures, we’ve been coming across some good stuff, and this seems like a good excuse to write about some of ’em. • Let me know you want to ride along (email fiftieswesterns@gmail.com), what subject you want to cover and when you plan to post it. Your posts can be in any form, of any length, and on any topic as long as it relates to Allied Artists, but I’d like to manage things a bit to make sure we don’t end up with 14 people writing about the same thing. Thanks to Jerry Entract for planting the seed for this thing. And to the fine folks at Warner Archive for bringing is these movies in such stunning condition. 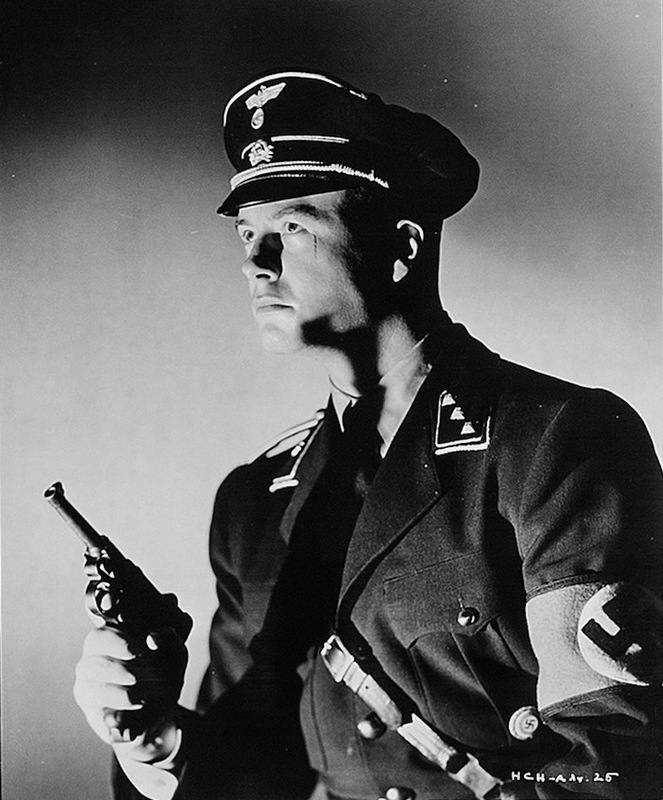 Tim Holt Tuesday #14: Hitler’s Children (1942) DVD Review. What’s a movie about the Hitler Youth from 1943 doing on a blog dedicated to Westerns from the 1950s? That’s easy. It stars Tim Holt, one of the handful of actors, directors, writers and technical folks I swore to plug tirelessly when starting this thing up six years ago. Plus, it’s really good. 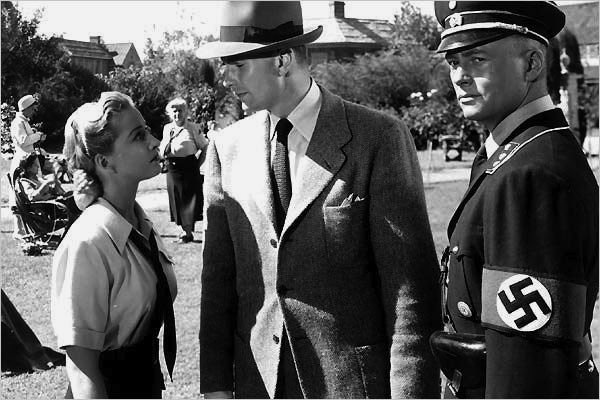 Hitler’s Children was seen by RKO as an exploitation picture, using the romance between an American student (Bonita Granville) and a young Nazi (Tim Holt) as a way to catalog various Nazi atrocities (the ones known at the time), from sterilization to flogging. Dmytryk didn’t start the picture. He replaced Irving Reis after the first few days of shooting. Hitler’s Children stands as RKO’s highest-grossing film, taking in even more than the mighty King Kong (1933)! Dmytryk soon made his way to A pictures, with Murder, My Sweet coming in 1944. Something like this needs a good cast to keep the melodrama from falling into parody. Holt and Granville are excellent, and they’re supported by some real pros: Kent Smith, Otto Kruger, H.B. Warner, Hans Conried, Nancy Gates, Peter Van Eyck, Edward Van Sloan and more. They say Richard Martin’s in there somewhere as a Gestapo stooge! Russell Metty’s cinematography deserves a lot of credit for the film’s overall effectiveness. He sets the mood and menace perfectly, more than making up for the meager budget. The Nazi rally long shot that opens the film appears to be a miniature. It’s incredible. Metty simply does not get the respect he deserves. Warner Archive has done its typically stellar work with this one. It’s a movie that really needs its strong contrast levels and solid blacks — and they’re near-perfect on this DVD-R. Hitler’s Children is a movie I’ve been championing for years, and I have no trouble recommending it highly — even though Tim’s packing a Luger, not a Colt. And isn’t that six-sheet up top terrific? 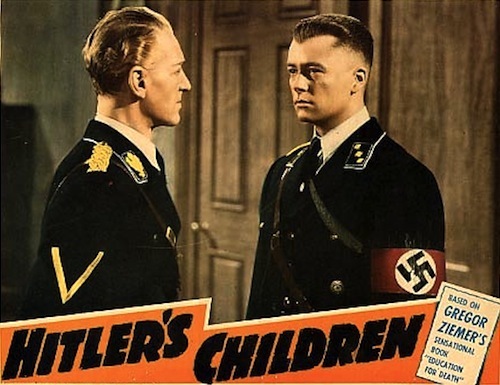 50s Westerns DVD News #199 (Tim Holt Tuesday #13): Hitler’s Children (1943). Sometimes a B Movie will pull off something in a way no A picture ever could. This is one of those times. Hitler’s Children (1943) was clearly meant to be an exploitation picture about the Hitler Youth, but it ended up being so much more. One of Tim Holt’s finest performances, and a real home run for both director Edward Dmytryk and cinematographer Russell Metty. It’a available today from Warner Archive. Highly, highly recommended.